Since arriving at Newberry College in 1986 Dr. Horn has taught a variety of biology courses, including Botany, Economic Botany, Field Biology, Ecology, and Environmental Science. 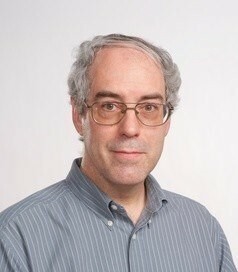 He also served as department chair from 1994 to 2011. He is currently the Director of the Summerland Honors Program and teaches sophomore level courses in the program. Dr. Horn is faculty advisor for Omicron Delta Kappa leadership honor society; and The Green Team Recycling Club. Dr. Horn is active in botanical and ecological research. He has completed research projects on aquatic plants of North and South America resulting in over a dozen publications in journals and books. He has also documented the flora of South Carolina, including several rare plants, through a series of publications. Currently he is engaged in research on native azaleas of South Carolina. Dr. Horn has received numerous awards during his tenure at Newberry College, including I.Y. and Agnes Caughman Professor of the Sciences (1989-1991), NCSGA Professor of the Year (1989), Billy Carter Professor (1998-2001), the Grady Cooper Award for outstanding service to the college (2005, 2007, 2009), the Teaching Excellence Award (2008), the Governor’s Distinguished Professor Award (2010), the Elizabeth Ann Bartholomew Award for outstanding service to botany as awarded by the Southern Appalachian Botanical Society (2011), and the SCICU Excellence in Teaching Award (2013).